Cheyenne Rifle and Pistol Club is pleased to offer its’ members a 320 acre outdoor range located northwest of the City of Cheyenne. The outdoor range is home to numerous berms, a 22 LR only range with steel targets, a shotgun range with a clay pigeon thrower, a silhouette range with steel targets, a pistol range, a benchrest house, and a long-distant range out to 600 yards. Guests are welcomed to shoot on the outdoor range provided they are accompanied by a member. 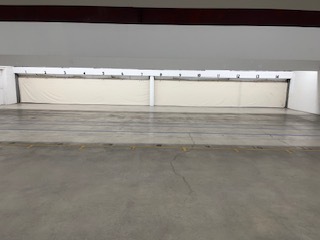 During the summer there are numerous public events held where the range is open to those participating in the event. There are some exciting updates that will be done to the outdoor range! Modification to the berms, road repair, and the addition of a wide assortment of steel targets (drop plates, swingers, and poles). From Horse Creek and I-25, go west 3 miles to Telephone Rd (Road 120), and turn north on Telephone Rd. Continue north on Telephone Rd. for 2 miles to Ritzke Rd (Road 217). Watch for a stack of tires on the east side of the road and a white communications hut on the west side of the road. To the east of this intersection is an unmarked road going east. Approximately 1/4 mile on this road you will encounter the locked gate to the outdoor range.